Yes I avoided the obvious. Please insert whatever you wish for this blog’s title. What is obvious is that the defeat by the visiting Burton Albion was one of the most disappointing in a long while. It wasn’t the fact that we lost, we can take that when the other team is better than you, it was the manner in which it happened. There was no spark, no feeling that something special may occur at some point. It seemed inevitable that Albion would score the first goal and so it proved. It was early enough to give the home crowd hope that the situation would be salvaged. That hope turned out to be a false one. A succession of back passes and seeming reluctance to gain any forward momentum led to a second defeat on the bounce. As disappointing as the loss at Barnsley was, there was a feeling that maybe it could be put behind the team when the Brewers came to Town. However they were well set up and able to deal with Swindon’s patient passing game. Even though Jimmy Floyd Hasselbaink is relatively new to the management game, he’s clearly doing a good job at Burton who went to the top of the table with the win. It’s clear that before a slight blip becomes a rut, a win is needed. Here’s the thing, do you care how it’s achieved? 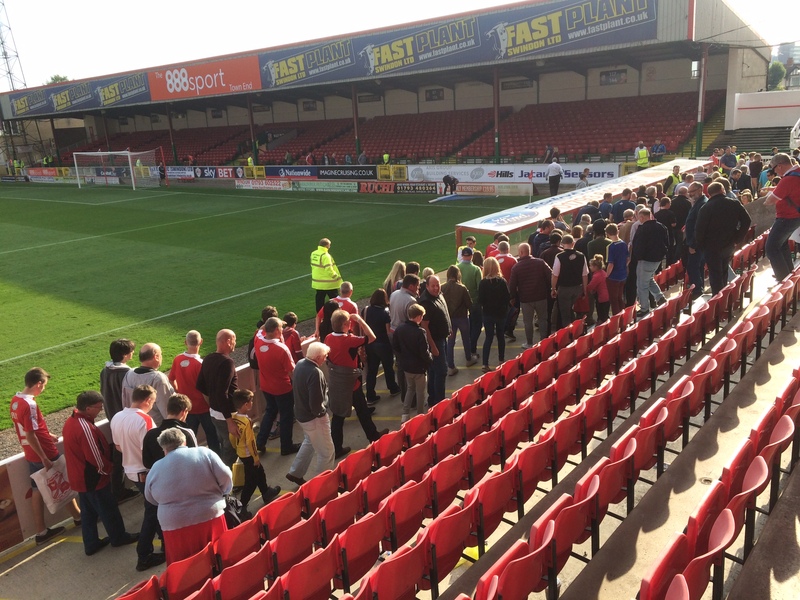 Would you be happy with a more direct style of play or do you value Swindon’s footballing values? There’s no doubt that we’ve seen some superb football over the past couple of years. Remember Walsall away last season, or Coventry, or Sheffield United? Of course we do. It’s not all doom and gloom and I’ve a feeling it won’t spiral further. It’s just what happens from time to time. It looks like Nathan Thompson is struggling for fitness, brother Louis is short on match time and things aren’t quite what they should be. Still that could all be eradicated with a home win over Colchester on Saturday. We need an early goal or a late winner via a shin pad to bring back the smiles before two long away trips and a shorter one along the A420. After the defeat on Saturday it was a victory for a Swindon team on Sunday. 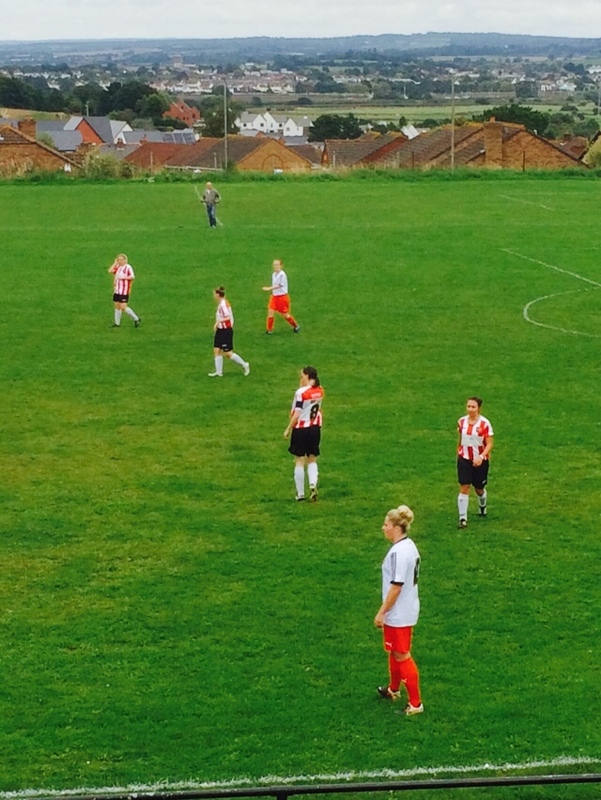 I went to watch the Town Ladies beat Exeter City Ladies at a venue near to my Devon home. Great to see the women’s game beginning to get a foothold in this country. It’s taken a while but it’s now being taken seriously and so it should be. The dedication shown by the players is as serious as any men’s teams. Remember they have to play, travel and train for the love of the game. They’re now getting their reward in the way respect is shown. Last week I wrote about how Torquay United were looking at ways to improve their attendances. Since then they’ve lost their manager, director of football and two successive home games. Having lost 7-3 to Bromley at Plainmoor, the Gulls then went down to Boreham Wood. Two defeats that were unthinkable in their Football League days. So maybe Swindon’s recent losses aren’t that bad. To Saturday then and fingers crossed for a Town win to ease the nerve.